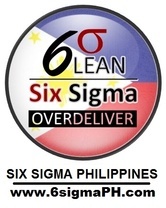 Six Sigma Philippines' RMstudy is a leading Education Provider imparting quality training to prepare professionals to manage risks associated with various projects. The Risk Management course has been developed and evaluated by several PMPs and experts in the field of project risk management. Read the comprehensive study guides for the particular chapter. Take the Chapter Test. This will improve your understanding of concepts for that chapter. Get Risk Management certificate on completion of the course: Students at Six Sigma Philippines' RMstudy get an industry-recognized certificate upon successful completion of the Risk Management course. This course is aligned with Risk Management concept defined by Project Management Institute (PMI)® and is great way to prepare for PMI Risk Management Professional (PMI-RMP)® exam. Satisfies PDU requirements for PMI: Upon successful completion of the course, students get 20 PMI Approved PDUs. Students who opt for physical course certificate are awarded with the physical copy of the RMstudy certificate and a trophy. Please note: The copy of the PDU certificate will only be emailed to the students. Comprehensive Course Structure: Six Sigma Philippines' RMstudy course is comprehensive and covers all the concepts required to be a Risk Management specialist. The course offers comprehensive study guides for all the chapters with examples that explain and illustrate the concepts for the benefit of the student. The concepts are explained in a really simple language using time tested and proven Six Sigma Philppines' RMstudy training methodology. RMstudy makes it easy for you to understand even the complex topics. This course is also priced very economically making it one of the most cost-effective Risk Management training courses available.